Each person has his own notion about Italian fencing. Therefore there are always misapprehensions concerning this or that question which concern his type of martial arts. This time we will try to regulate historical facts and make things clear owing to researches conducted by Grand Maestro Oleg Maltsev and his colleagues in virtue of examination of the ancient books, treatises and other ancient sources which are at the open source. For this purpose will use two approaches: public and scientific. Public approach shows your perception of Italian fencing in relation to historical documents. Scientific approach demonstrates how it would be possible to perceive Italian fencing from scientific point of view along with these documents commented by Dr.Maltsev. 1536 – Achille Marozzo. “Opera Nova dell’Arte delle Armi” was republished till the 17th century. It is necessary to discuss some misfortunes of this chronology. First thing that grabs attentions is that, it is less likely that among Italians there would be one who has read all these documents. It was rather difficult to put treatises chronologically, and still, these are more or less known main works. There is a set of other works which are not included in chronology for various reasons, for instance due to their unavailability in free access, even though in the framework of research there we have looked at such sources as well. However all scientists refer to treatises that are presented in this chronological timeline. Therefore we do not speak about criminal tradition, about fencing schools such as Genoa and Neapolitan ones, about documents written in Sicily. This article is only about official documents, about more or less well-known treatises which according to classical history and public opinion make the Italian fencing, although on the basis of these documents it is possible to understand for example, the Pulian and Calabrian schools of fencing only in part. Each person has his own view concerning the treatises. Besides, it is seriously “diluted” by opinion of the masters about it. As it is said, number of people equals to number of judgements, therefore this massive package of documents is multiplied by quantity of opinions of different people. Imagine what kind of library there has to be created in order to take into consideration all notions – competent or incompetent ones and to make sense of the Italian fencing so that people would agree with each other? Till these point, we may say that we are being confronted with two things: historical documents and opinions on them. That it is told in documents about, in most cases contradicts their opinion. The biggest problem is that most of people have an opinion not based on these documents, – they did not even read these treatises, – and based on those who teach them martial art. Pay attention to frequency of treatises publishing according to timeline. Even this fact has to make think a reasonable and sensible one that we there is no frequency of treatise as such in modern days. It seems then, that these treatises were necessary at that point of time, however now that is not the case. As today, we have people instead of treatises, people who do not write works but declare their own opinion in gym. They do not write any treatises as it would look ridiculous. As a result we end up with tons of serious contradictions between opinions who want to repeat after the masters and submitted historical documents. It is necessary to notice attention grabbing fact: most of the famous fencers are Venetians. Venice is not a homeland for many of them, but they have spent much of their lifetime in there. Why Venice one may ask? The point is in that, at that period of time Venice, Genoa, Bologna and Sicily were not parts of Italy. This chronology represents a public view. Obviously one may start studying treatises that are in this list, however there is still work to do in order to understand in details the difference of Italian fencing from other types of fencing (such as French, German, Spanish and others). In the course of research we will be using works of renowned masters only. Undoubtedly the first renowned master of fencer in Italy was Achille Marozzo. He lived in Venice and supported school of fencing there. Then, we may consider Camillo Agrippa and Giacomo di Grassi, the author of the treatise which is known as the “First Venetian Treatise”. It should be noted that each of this fencing masters deserve attention and due respect of their hard work. Let us imagine a vertical line which consists of three levels and we will consider three treatises which have been written for different social classes. 1. The treatise by Giacomo di Grassi published in 1570 will be located in the top point of this vertical as it is written using a specific language (even for those time), and one would find it hard to understand it independently. Di Grassi writes clearly that majority of people do not understand the essence of fencing at all. He has visited all schools of fencing in Italy and abroad, he happened to see work of the masters, their mistakes and nonsenses. “The first Venetian treatise” Giacomo di Grassi represents as a course of academic postgraduate education for a fencer, for ones who are able to fence but do not understand all aspects of it yet. Treatise does not have a “set of tricks”, but solely science of fencing. However the author leaves for the reader the right to independently match in adaptation of this science a set of methods which, in your opinion, accord with this science. 2. Camillo Agrippa’s work is for highly literate ones, for ones who are capable of understanding it. The treatise has been published in 1553. It contains the description of science and technical elements. 3. The favourite treatise of most Italians is the treatise to Achille Marozzo published in 1536. His work includes thorough description of handling such types of weapon as knife, dagger and even a technique of barehand fight against a knife. The treatise of Marozzo is written in very simple language and therefore is clear to most. Notice that frequency of the edition of these treatises are around 20-30 years. In this vertical line we have indicated dates of their editions and not the dates they were written. Needless to say, there are also other authors who have not played a major role in the history of fencing. These treatises were written in Venice, besides in a certain way, in order to cover whole vertical of social classes (upper class, nobility and commoners). Some people claim that Camillo Agrippa had written the treatise in Rome but as it seems quite few people knew that his treatise was published in Venice earlier. Characterizing each treatise in particular we may conclude that Giacomo di Grassi’s work is a description of science, treatise by Camillo Agrippa is about how the science is applied, and the treatise of Achille Marozzo is about how to “repeat” after those who possess the skill of fencing. 1606-1608 – Nicoletto Giganti. It is considered that Nicoletto Giganti “cleaned” Venetian fencing from complications and in that way, has repeated outstanding work of Achille Marozzo. Perhaps, all these treatises are foremost treatises that were published in Italy. These seven Venetians for a long period of time were first persons of Venice or modern Italy in the field of the Italian fencing. Nobody can surpass them as their works speak for themselves. Other than this undoubtedly these are recognized and renowned people therefore some readers will have to accept and recognize that whole system of fencing is divided into Venetian, Bologna and Genoa schools which at that time had no relation to Italy. It is not surprising, for instance, Venice was a paramount sea state waging wars of conquest, correspondingly it had no choice but to have a military system by means of which to lead conquests. Furthermore, in historical sources it is stated that in the XVIII century these things disappear and what is left, only two schools of fencing: French and Neapolitan. Pay attention that this statement is quite doubtful as treatises still exist. Needless to say, if the case was not in somebody creating a fake replica of it in XVIII century. In some documents it is stated that in the XIX century there is a revival of a system on the territory of Italy which looks in the following way: Spanish school of fencing, French school of fencing, Neapolitan school of fencing, Sicilian school of fencing and northern school of fencing. Moreover, it is stated that the Italian fencing is a mix of French and Spanish fencing. These facts can be found in the excerpts of the official document of the XIX century where schools of fencing are discussed, in particular “The treatise about use of a saber and sword in Italian fencing” written by Alberto Blengini in 1864. Treatise provides photos of sword and saber duels against armed ones with bayonet. Obviously, till XVII century history is quite clear and understandable. If all these treatises are organize in determinate order, we will have same vertical line of social classes. The treatise by the Venetian Salvator Fabris is similar to the treatise by Camillo Agrippa. “The Fifth Venetian treatise” has been written by him for noblemen. The treatise Nicoletto Giganti is similar to work Achille Marozzo. 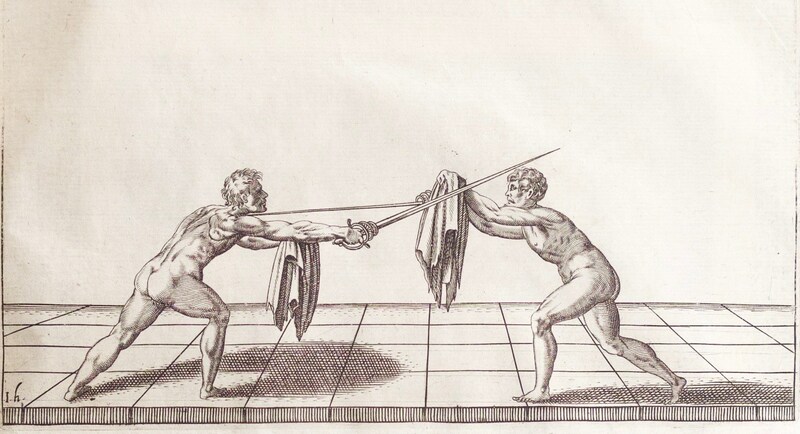 Consequently, we may say that the treatise by Ridolfo Capo Ferro is similar to the treatise by Camillo Agrippa and “The second Venetian treatise” of Francesco Alfieri can be considered as a designated one for science of fencing which is also discoursed in the work of Giacomo di Grassi. In fact we may state, that the treatises of Marozzo and Giganti were written for soldiers. Italians are fond of these books for the simplicity of the statement. The work of Giganti is much informative and difficult than the book of Marozzo, but both of them are useful for research. The second level is the level of commanding officers. This category includes works of Agrippa, Fabris and Capoferro written for noblemen and officers in command. Treatises for the top level (generals, senior officers, governors) were written by di Grassi and Alfieri. The measuring instrument of the Grand and Minor Lodge demonstrates criminal tradition (Minor lodge) corresponds to works of Marozzo and Giganti. If to compare Agrippa, Fabris and Capoferro works, then these are different treatises with different views on fencing, that is three different Grand Lodges which can be linked to any type of Minor Lodge. These communities were governed by Kapo, Alfieri and di Grassi. Their treatises are ideological, a set ideology and the command mode from top to down. Level of di Grassi and Alfieri is presented by the same leaders according to the Venetian continuity of generations. The second level is presented by three categories of noblemen: some prefer the treatise of Agrippa, some – Capoferro, others – Fabris, and some study the technique, stated in all three treatises. The third level includes two types of soldiers: the Venetian soldiers trained according to the book Marozzo and Venetian soldiers trained according to a work of Giganti. Marozzo and Giganti’s treatises provided evolution of training of soldiers of the timespan of almost 100 years. It included 14 sets of 14 Venetian movements which subsequently have become basic technical elements used by soldiers. As for noblemen they have even more technical elements. On level of di Grassi and Alfieri there is the same base but with an expanded knowledge. This foundation could be expanded with other ways of application and addition of technical elements. The original Venetian system includes 36-38 basic technical elements. Coming to conclusion, let us look at what was done by other 11 masters. Not much has changed from those times. If one takes a look around and observes how many people teach fencing today, you will not see 17 masters of fencing. Moreover, in the chronology given above there is representation of only 17 authors as the timeline does not takes into consideration the documents of Genoa, Venice, Naples and Spain. If we collect documents from all libraries in Italy, the number will increase up to 200 or 300. However scientists unanimously declare that there is nothing outstanding in these documents as all outstanding documents has been already made during the period till the XVII century by the Venetian school of fencing. As a result of the research work, we have a system which may be used a solid ground. It is unlikely that there will be ones debating authorities of aforementioned people. The following step would be understanding of contribution to fencing made by each of these figures, proceeding from the treatises and defining differences of the Italian fencing at different social levels of vertical line according to historical documents. At this moment it is an important turning point for we have managed to make a chronological structure up to XVII century. One may be still discordant with this classification or adhere other classification, but, as reality shows it is unlikely that one will take time and resources to thoroughly study all these works. Before this material was presented by Grand Maestro Oleg Maltsev there was an expedition to Italy, namely Venice and Sicily, and thorough research of all these and other ancient documents. Namely, research was conducted for understanding of genuine historical facts of the period of XV-XVII centuries. Our following articles will be devoted to a deep analysis of treatises and other schools of fencing.